Five Trinity Academy students were winners of the Student Art Contest held in conjunction with the Caldwell Merchants Association’s Art on the Avenue on Saturday, June 1. 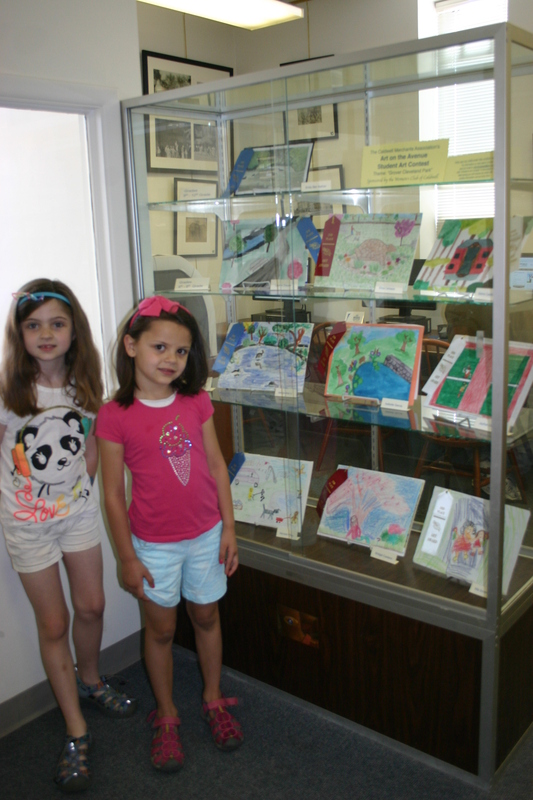 Their artwork will be on display at the Caldwell Library from June 17 to June 28th. Students in grades Kindergarten through 12th were invited to submit a piece of artwork representing the theme “Grover Cleveland Park.” Over seventy entries were submitted and exhibited at a display on Bloomfield Avenue in Caldwell during the Art on the Avenue show. The winning student’s artwork was selected by professional artists Annette Adrian Hanna and Mark de Mos. The Trinity Academy winners were: Grades K-2: Second Place, Bridget C, and Third Place, Mia S, Grades 6-8: First Place, Lauren D, Second Place, Erica C, and Third Place, Siahra C. First Place winners received prizes from the Caldwell Merchants Association. In addition, all first, second and third place winners received ribbons.